A fine black powder composed of boron carbide particles of approximately 40nm in diameter. Used across a number of industries for its hardness, unique interactions with neutrons, and basic properties, boron carbide in nanopowder has seen extensive research from engineers and academics. To find out more about boron carbide nanopowder /nanoparticles ( B4C ) and its applications, you can contact SSNano directly. Abrasives. As one of the hardest materials out there, boron carbide nanopowder makes an excellent abrasive solution. Cutting tools and dies in particular make special use of boron carbide in this form to great effect. Catalyst support. 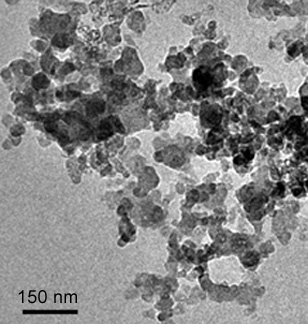 Research has shown intriguing potential for boron carbide nanoparticles as a catalyst support for platinum catalysts, greatly enhancing CO tolerance and methanol oxidation activity. Additive. Largely valued for its hardness, boron carbide nanopowder has been used as an additive for any number of materials and nanocomposites to add strength, abrasiveness, and general resilience to wear. Medicine. Recent research has revealed intriguing potential for boron carbide nanoparticles in certain resolving certain specific medical issues. Research revealed success in utilizing boron carbide nanoparticles in neuron capture therapy, a cancer treatment for brain, head, and neck cancers. Nuclear applications. Boron carbide is highly important in nuclear shielding applications due to its high neutron absorption cross section—properties related to its benefits in certain forms of cancer treatment.